There was a glorious spring when I visited a friend who was living on a very small scale organic farm near the Chesapeake Bay. It was a very dynamic place, and there were growing beds in various stages of built-up-ness. Some greenhouses were growing lettuces and some neatly organized rows of early Spring veggies were in place. But the reason I was there was the old asparagus fields. The farm no longer grew asparagus, but they had in the past. Now, I love asparagus. And asparagus is remarkable for its biennial growing cycle, so shoots come up every other year. These fields were abandoned, but they were still laden with green potential. By the time the day was done, I had 3 grocery bags full of asparagus. Now, even among vegetables that are cultivated, asparagus is easy to gather. But in this context, the searching and finding aspects really got me started in being ready to pull things from the earth. There may be more abandoned farm areas around your area than you know––sometimes public parks, golf courses, the grassy areas around shopping centers, and nature preserves have been farmed in the past. Do a little research and you'll be shocked what you can find. Seasons are beautiful things, and in many parts of the country there are places where you can pick and gather what is in season, and in the late Summer, these can include things like blackberries, blueberries, apples, pears, chestnuts, pecans, pawpaws, among many other kinds of relatively "ordinary" fruits. But the secret is that these things also grow in the wild, and represent some of the exactly things you'd want to find while foraging. Pardon a macabre analogy, but this is like having the chance to practice hunting lions in the zoo before trekking the Serengeti. So, find an orchard, a community garden or a family berry bush to learn how to recognize the plants that you are looking for, and to see how they grow. Some of the things you can forage are extremely obvious and easy to pick. And these are definitely where you want to start. A good example are the fresh sprigs that appear on evergreens in the early Spring when their new growth starts. (You can read all about them and how to make an awesome, green-filled cocktail with them here.) 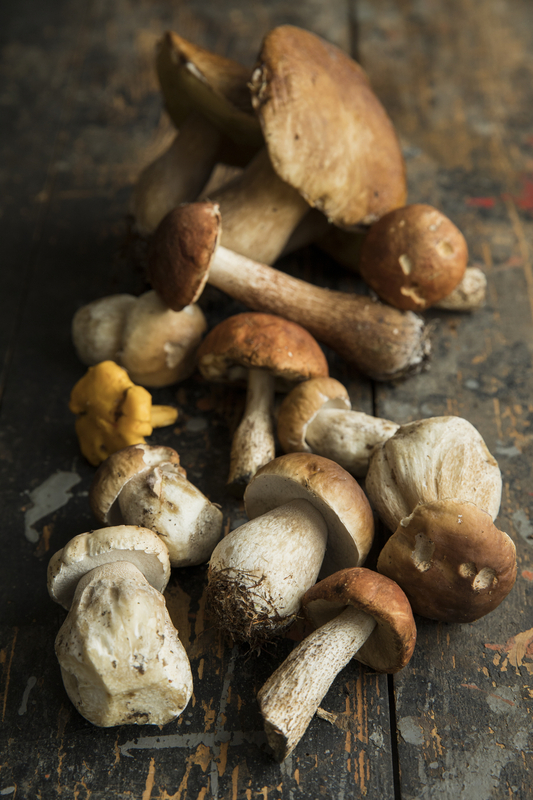 Other than getting a few bad ones in your foraging, these are a very easy place to start. By contrast, distinguishing sloe berries from other (sometimes poisonous) red berries that grow in a woodlands is tough. The point is to start out with what's easy and slowly build your knowledge base, your foraging instincts, and your experience. Dream as I may of having a well trained truffle hound, my days finding oodles of the tubers are quite a ways in front of me. 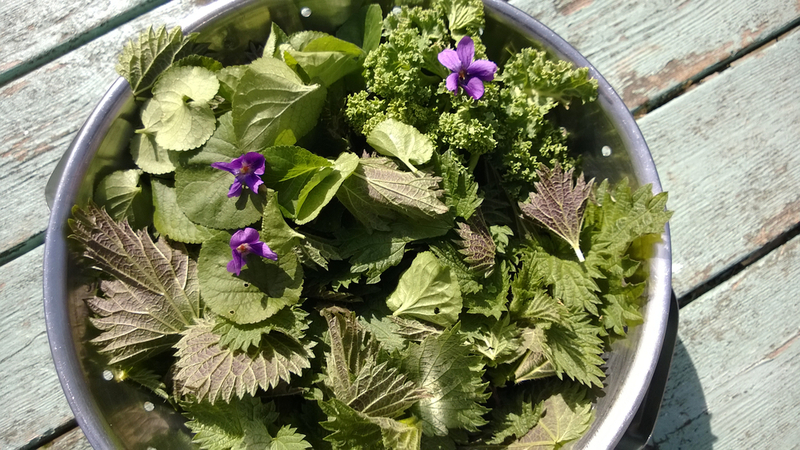 Foraging is a little bit like breaking your own warranty with the world of food. As long as you stay in restaurants and grocery stores, you can pretty much assume you'll be safe (although not always even then.) So, an unavoidable aspect of foraging is that you are putting yourself at the mercy of a not-entirely-safe world. I brought up the danger of red berries before. But the best example of the danger––because they are also the real allure of foraging––are mushrooms. 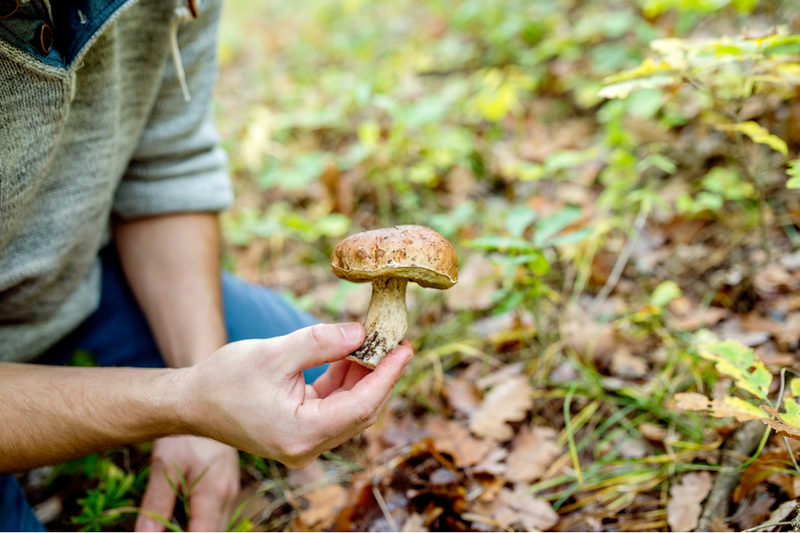 That you can forage for mushrooms is the kind of thing that makes the whole endeavor seem worth while. But the knowledge you need to ensure that you only collect those things that are safe to eat is pretty high. Depending on how you are learning––a skilled mentor is idea, and an online forum is a good venue––this may be easy to reach. But if not, its better to be safe and go home empty than to over-estimate your abilities. If you're up for the challenge, and you live west of the Rockies, the best place to get started is with this classic pocket guide. It's informative, very weird, and just nerd-y enough that you know you're getting the info from dedicated experts. For a more general North American guide, we recommend the National Audubon Society's Field Guide.